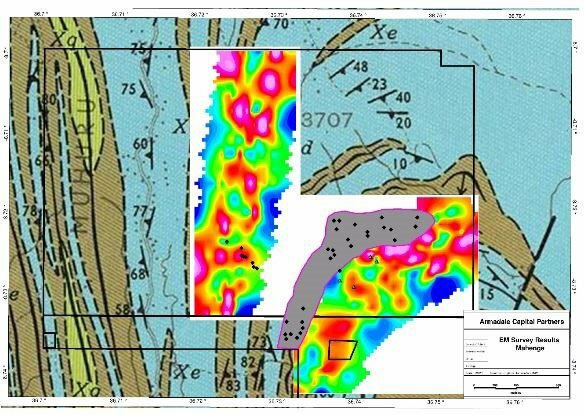 A UK-based company looking to become part of the global graphite pecking order has just released its maiden JORC graphite resource, allowing a direct comparison to its peers. 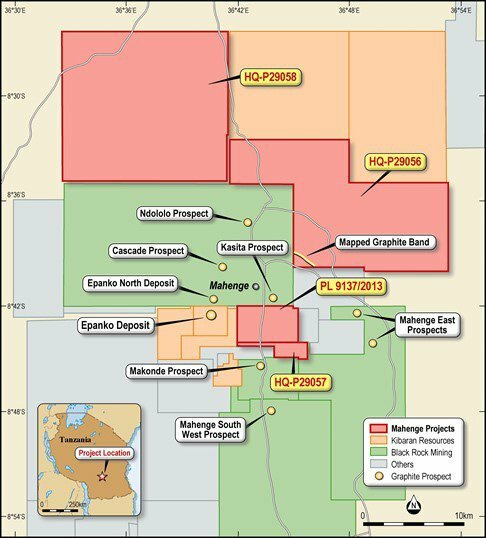 Armadale Capital’s (LSE: ACP) maiden JORC resource estimate is an outstanding 40.9Mt @ 9.41% TGC , reinforcing the commercial viability of the Mahenge Liandu project. The resource estimate also included 32.8Mt @ 10.47% TGC within the ore body which is believed to be one of best results in Tanzania. ACP is surrounded by other graphite explorers that have a much larger valuation, and given JORC results released today, ACP shows strong potential to follow a similar growth trajectory as its more storied peers. Just 12 months ago, the £24.1M Kibaran Resources (ASX: KNL) and £25M Black Rock Mining (ASX: BKT) in Australia, were small graphite explorers. Today, their exploration progress has seen their valuations rise as they look to make an impact on the growing demand for graphite and its by-products. With a JORC resource now under its belt at its Mahenge Liandu Graphite Project in Tanzania, ACP has taken its first major step towards playing in the graphite major leagues. However before we go too far, it should be noted that ACP is a very high risk stock, owing to the project location of Tanzania. Getting mining projects off the ground here is not always easy due to political and social reasons. ACP has delivered a viable resource size and high grade coarse flake close to surface in one seamless ore body. All of this points towards a price-sensitive critical moment in the early development of its flagship graphite project in Tanzania. Back in November 2016, ACP completed a drill program that confirmed 18 from 21 drill holes at Mahenge were visually logged as intersecting high grade coarse graphite mineralisation. These results have led ACP to its maiden JORC Resource, confirming what the market was anticipating: ACP is sitting on a graphite resource that could be one of the best in Tanzania. The JORC Results have delivered an exceptional 40.9MT @ 9.41% TGC . Included in that is an estimate of 32.8Mt @ 10.47% , which is believed to be one of the best results in Tanzania. To give you an idea of just how good this is, it is worth looking at ACP’s ASX-listed Tanzanian graphite peers. BKT has 162.5Mt @7.8% TGC; Kibaran Resources 23.3Mt @ 9.4% TGC; Magnis Resources (ASX: MNS; £197M) 174Mt @ 5.4% TGC and Volt Resources (ASX: VRC; £39M) 446Mt @ 5% TGC. As you can see ACP’s TGC results surpass some of the biggest players in the region. Two of these players, BKT and KNL have risen sharply on their back of their own results, and ACP is hoping its JORC results have the same impact. With a resource definition under its belt, ACP will now embark on metallurgical test work, which will indicate the quality of the final product. The met test results should be finalised in Q1 2017, leading to another catalyst as it also ships its graphite flake concentrate samples from Mahenge Liandu to a German facility to determine the suitability for spherical and expandable graphite. Again, results are due in Q1 2017, meaning ACP has plenty of newsflow to come. Finally, ACP’s 2017 drilling campaign will commence post the Tanzanian wet season in March/April and should result in the mineral resource estimate being expanded further. There is a great deal to look forward to for ACP and its shareholders, as it looks to progress this project quickly to enable it to tap into the burgeoning demand for natural graphite from lithium-ion battery producers. You might have been living under a rock (with high graphitic content) if you haven’t heard of the new energy revolution and the role resources such as graphite and lithium are to play in the move away from fossil fuels. This clean energy shift is happening right under our noses, as battery assisted energy solutions are being produced by Tesla, Samsung, Apple and other major players in the technology space as they look to create new markets. But what of the role of graphite? Well, graphite is a necessary requirement in batteries, but expandable graphite is also used for flammable retardant building materials gradually replacing toxic brominated products currently permeating millions of buildings worldwide. China, the US and the EU are leading the way in additional graphite demand, with China and Europe placing upside pressure on natural flake graphite because of its preferred environmentally-friendly status compared to synthesised graphite. This plays right into ACP’s hands as it explores for and potentially produces some of the highest natural flake graphite in Tanzania. Certainly, there is no shortage for graphite: we are seeing more and more products with a graphite component hit the market including batteries, gaskets, sealing products, heat exchanges. We could go on and on. Not to mention Tesla’s Elon Musk has stated that graphite could be the most important ingredient in its battery generation. So you get the graphite picture. There are multiple avenues of demand that could ruffle world markets when harnessed to the full extent. ACP’s high grade coarse graphite, could be crucial in future demand as downstream graphite end-users such as Tesla increasingly show a preference for graphite feedstock which is more environmentally friendly and doesn’t require complicated processing methods. So ACP has a JORC Resource, with high grade coarse flakes, and if successful could be coming into the market as demand significantly outweighs supply. ACP’s resource is also well located. We’ve spoken briefly about its neighbours and we’ll have another look shortly, but let’s first take a look at where the Mahenge Liandu project is situated. Mahenge is located in the Ulanga District in south east Tanzania, approximately 300km south west of Morogoro and 10km from the town Mahenge. As a side note, the Mahenge Project is not the only project ACP has in Africa. ACP also has the Mpokoto gold project in the Katanga Province of the Democratic Republic of the Congo, for which ACP has recently exercised its option regarding the formation of a joint venture with Kisenge Mining (KMP). Phase I of the JV will enable KMP to earn a 25% interest in ACP’s subsidiary, Kisenge Ltd, the joint venture entity, through providing funding and projected related services up to US$1.25 million, including incremental metallurgical test work, refining the current Definitive Feasibility Study (DFS) to incorporate financing the project and initial capital works. This gold project goes hand in hand with the graphite play in Tanzania, as it looks to beef up its exploration for two commodities that are riding market highs. ACP’s tenements in Tanzania are marked in pink and as you can see by the map below it is situated in the middle of BKT and KNL’s landholding over four highly prospective tenements covering 485km 2 . Importantly, this infrastructure lowers operational costs for ACP, giving it a highly prospective, low cost project from which it can derive maximum benefit when the time is right. 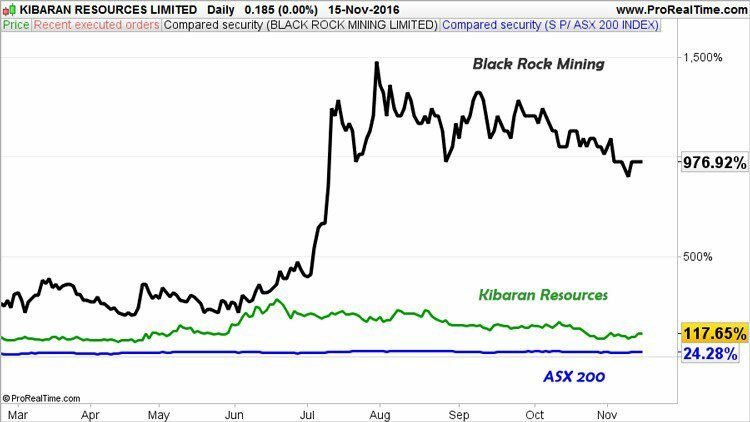 ACP’s neighbours such as Kibaran and Black Rock now have significant market caps from where they started and earlier in the year Kibaran announced it had executed an off-take agreement with one of the world’s leading commodity trading companies ThyssenKrupp. This is an exclusive long-term commercial agreement for the sale of a minimum 20,000 tonnes per annum of refractory grade natural flake graphite in Europe, Turkey, Russia, Ukraine and Korea. Then there is Volt Resources (ASX:VRC). While not strictly a neighbour, Volt presents a good case for just how successful graphite plays can be in Tanzania. The company’s share price has risen over 1,150%, since it first entered graphite exploration and ticked all the boxes to make a major graphite discovery in Tanzania. ACP looks to be in a similar position to VRC in its early days and now the company has released its JORC graphite resource, will be hoping for the same market traction and perhaps an offtake agreement or two a la Kibaran. There’s no guarantee of that of course, so don’t base your investment decision on any speculation and seek professional financial advice if considering this stock for your portfolio. ACP represents a compelling graphite opportunity for the small-cap UK investor. Capped at just £7M, this might-be-giant’s JORC Resource is a significant catalyst for investors, as it ticks off this early milestone, records a resource that could be the biggest in the region, and looks to start playing with the bigger boys in the region. Not to mention, a successful resource of the size reported by ACP could attract an offtake partner or two and position it as a potentially prominent player in the growing graphite sphere. 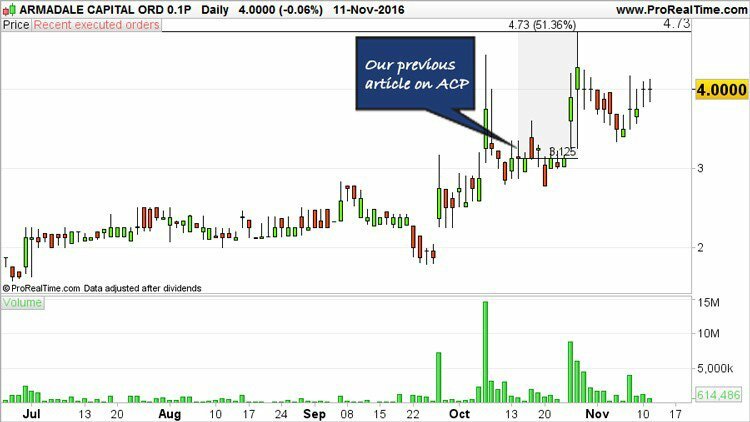 These are stirring times for ACP as it looks forward to further catalysts in early 2017 including spinning the diamond drillbit.